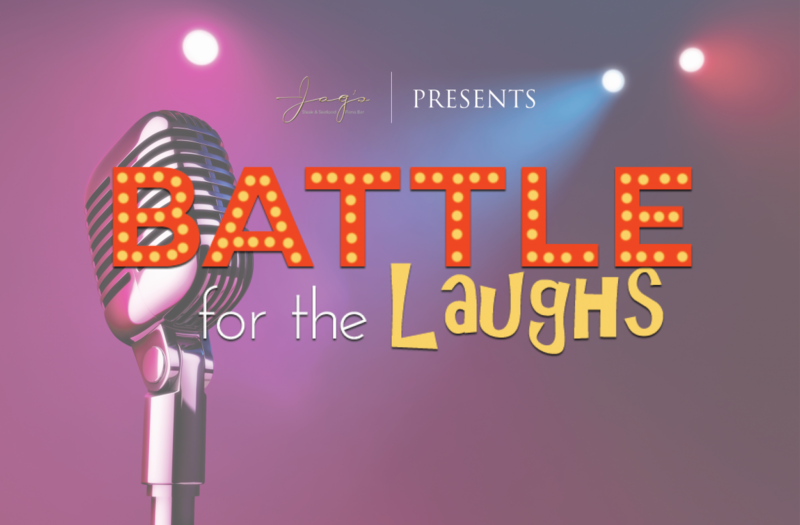 Join Jag's Presents throughout March for the first Battle for the Laughs, a month-long competition to find the funniest comedian in the region where you get to decide who moves on and who will win the grand prize. Comedians from across the region will compete for your laughs and the chance to move on to the finale at the end of March. We'll also be serving your favorite Jag's Steak & Seafood food, drink specials and live music before the show begins. Friday, March 3: Semi-final round 1, 9 p.m.
Friday, March 10: Semi-final round 2, 9 p.m.
Friday, March 17: Semi-final round 3, 9 p.m.
Friday, March 31: Finale, 9:30 p.m. Amateur and professional comedians of all experience levels can submit a 3-5 minute audition tape to be considered. Please send a link to jagspresents@jags.com.